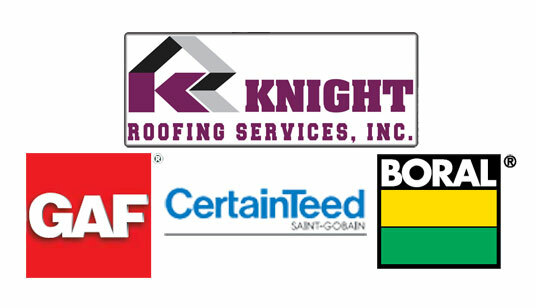 Knight Roofing Services offers MORE! We’ve been busy serving most of the Bay Area. We have installed sort-able lists of the work we’ve done on most of the pages on our website. 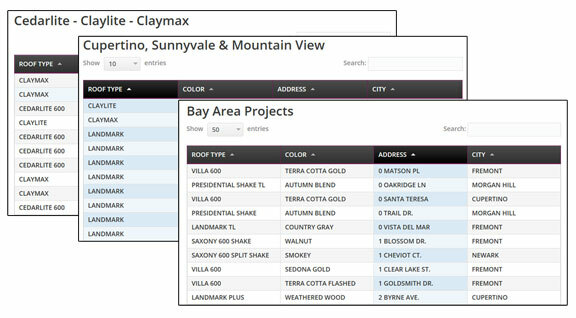 You can view our work by the community or product type to help you determine what might work best for your project. See if you recognize any homes in your neighborhood. Upon request, when we do a quote for you, we can supply a list with the complete addresses. Below is a link to a database of 1,000+ of the projects we’ve done (the short list). Take a look. Knight Roofing Services Inc Bay Area Roofing Contractors. Sift through our completed projects list. 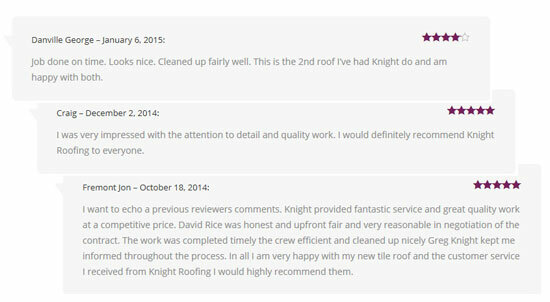 Take a minute with our reviews, then give us a call. We offer a wide selection from the top roofing brands. 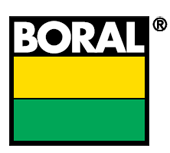 We offer 6 types of Boral lightweight concrete roof tile and 2 types of Boral lightweight clay roof tile. In all you can choose from 59 different roof tile and color combinations. 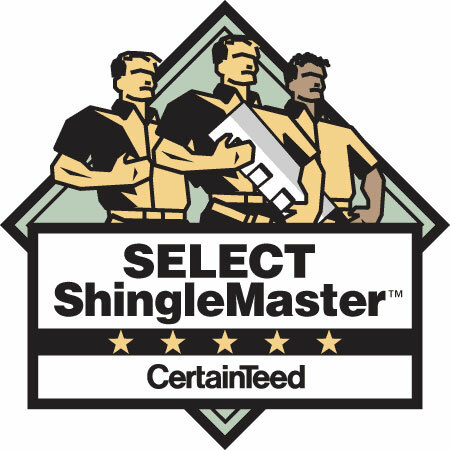 CertainTeed offers an impressive line of roofing shingles including the Presidential Shake. In all we offer 8 types of Certainteed roofing shingles to meet most any budget and architectural need. In addition, we can offer you up to 54 shingles/color combinations. 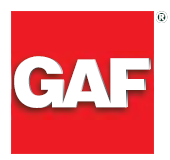 GAF roofing shingles exhibit a distinct look. Both the Designer series and Timberline are great roofing choices for your Bay Area home. We offer 4 GAF roofing shingles in a variety of colors to give you up to 29 shingle/color combinations. We can complete your new roof installation with our prefinished gutters and downspouts.